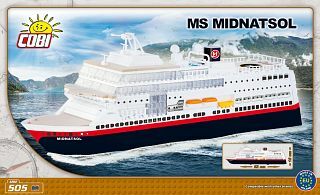 Good evening, Can you also tell me what dimensions (scale) of the model are? It is 52cm long and 15cm high. Do you have the other coastalsteamers as well? Thank you for your interest in COBI products. 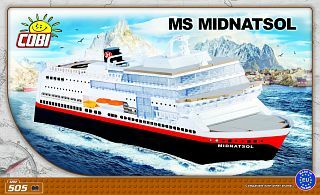 ich möchte den Seeunterbau für die MS Midnatsol. We do not sell separate parts yet, it will be available soon through our online shop. It will be launched probably early next year. We are sorry about the missing parts. Please write us an e-mail to: office@cobi.pl with your address and descriptions or photos of the missing parts - we'll send them to you. 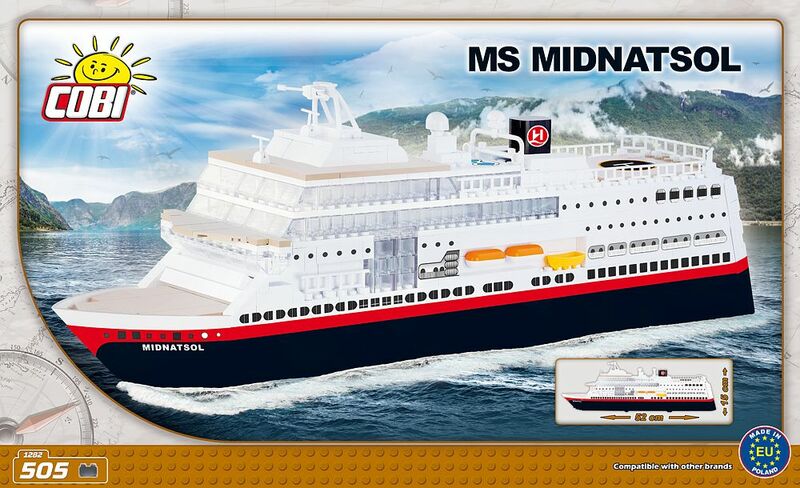 The set that you are asking about was a customised project and it is available only on board of this ship.